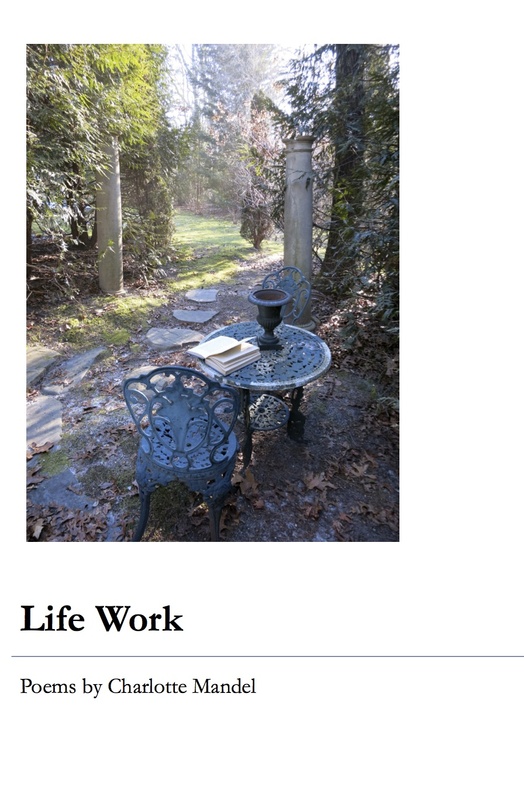 Life Work by Charlotte Mandel. David Roberts Books, 2013. In her book Life Work (David Robert Books, 2013), Charlotte Mandel teaches us a thing or two about living —that is, if we have ears to hear. Life Work is divided into five sections that form an arcing narrative. In the first section Mandel depicts a long marriage through a masterly crown of seven sonnets, the death of her beloved in a wrenching two-sonnet crown, and the grief that follows, in a swift crown of three sonnets. This last crown ends with a remonstrance to herself: “Yet how to tell the poem ‘don’t reminisce’ / all moments lived are sparks to genesis.” By making, through the spark of genesis controlled in form, Mandel avoids the trap of sentimental nostalgia or grief stricken angst. The second section turns its attention, then, to makers: other artists. Here are ekphrastic poems in response to Andrew Wyeth, Robert Rauschenberg, a Japanese woodcut master, El Greco, an anonymous Egyptian, and an unnamed sculptor. This list reveals Mandel’s wide-ranging eye. It’s an eye full of surprises: in a poem set in an aquarium, she describes a rockfish as “a drag queen in summer georgette” and a geodic as a “plasmatic human-sized phallus.” The last poem in the section ends “Dying’s no passive matter. / Regeneration takes work.” Here she sets up what’s to come in the last three sections of the book: how to age into death, how to recover from grief, how to continue harnessing the spark of genesis. and goes from there, spilling over with energy, loosed emotion, and near-formlessness. In the last section, Mandel, having moved through grief, turns to the natural world. One of the last poems, a sonnet, ends “But today’s the equinox—yang marries yin. / Night equals day—grab a sweater and grin.” Pretty good advice for a life’s work. Athena Kildegaard is the author of three books of poetry. Her poems have recently appeared or are forthcoming in Barn Owl Review, Grist, Zone 3, Tar River Poetry, and Tinderbox Poetry Journal. She lives and teaches in Morris, Minnesota.